You see the deep and intense color of the Painted Bunting long after you close your eyes for the night, while the beautiful song of the Wood Thrush lingers in your ear. Birding, for you, is a total engagement of the senses, from the sights to the songs to the documentation through photography or pen to paper. It’s both a visual and an auditory experience. It’s scientific yet joyful, technical but relaxing. There’s something so freeing about watching these stunning creatures fly through blue skies. And now it’s wintertime, so they’re calling you to Florida. Cloaked between the Gulf of Mexico and the deep blue waters of the Atlantic Ocean, Florida boasts of famed destinations, lush gardens, gorgeous waters, and almost a backyard view of the exotic Bahamas. Yet, these are often the only stories we hear. The truth, though, is that Florida holds the key to unlocking a vibrant new world out in the wild. While it might seem as though birdwatching is Florida’s best-kept secret, Florida is becoming quite well known among birders – those who delight in and appreciate the art of birding. The best part is that the Florida climate is warm and inviting, even in the middle of winter. Ready to go? The entire state of Florida offers birding adventures galore, and your destination simply depends on your goals. Which birds do you love and cherish most? What kind of habitat do you prefer? Consider whether you’d like to enjoy some beach time, or if the glades of the swamp are more your style. Do you yearn to be one with nature, or do you love to share in the joy with other birding enthusiasts? Perhaps you even dare to embark on a journey to see as many sites as possible – Florida offers hundreds – with an intent to eventually visit them all. It’s doable with a little preparation. 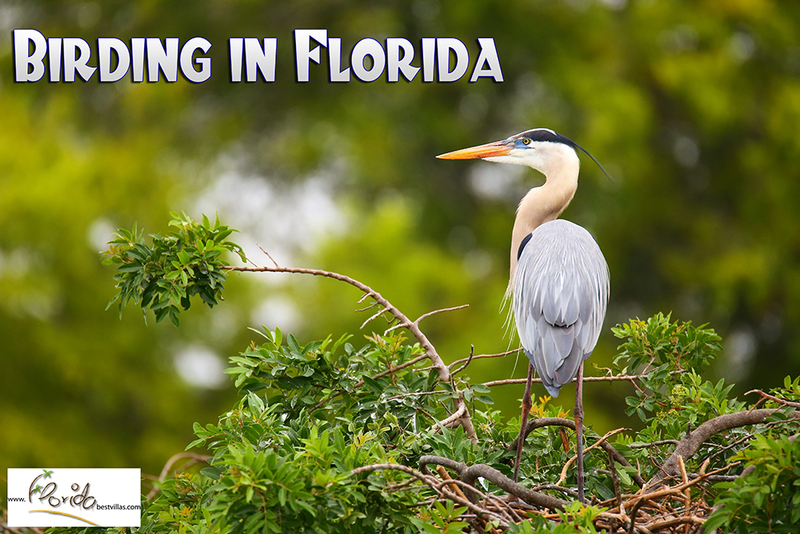 According to Visit Florida, the top birding sites in the state include Merritt Island National Wildlife Refuge, Everglades National Park, Dry Tortugas National Park, and “Ding” Darling National Wildlife Refuge. These locales, like the hundreds of other birding sites, span the state, so you’ll have no trouble finding several near your vacation rental home. 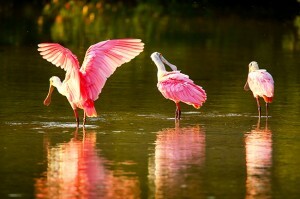 The state of Florida, spanning more than 65,000 square miles, is a wonder of nature. On the first day, you might feel like you’re in the jungle. On the next, you’re admiring the ocean. If you like a dose of action on your adventure, you and your binoculars can rent a kayak and enjoy the birds from the river or lake. Florida offers a dozen habitats for its bird species, including swamp lands, prairies, dunes, and tropical brush, and you can experience all of them. 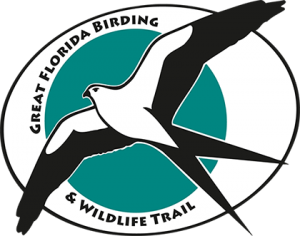 There are plenty of resources available, but one of the best is The Great Florida Birding and Wildlife Trail organization. Create a plan for your adventure with the trip planner, a cool tool for casual research or final arrangements. Florida Birding Trail also hosts events throughout the year, so you can get together with fellow watchers to share stories and tips. For the junior birder or experienced enthusiast, the search for the next great winter escapade is over. Destination: Florida. Welcome to the Sunshine State. This entry was posted in Fun, Outdoor Adventures and tagged animals, bird, birding, evergaldes, evergl, Florida, florida best villas, FloridaBestVillas, merritt island, park, parks. Bookmark the permalink. Orlando’s only circus themed dinner show that’s fun for all ages! Hannes on What do I do when I get to Florida? Pro Blogger News on New vacation home on FloridaBestVillas! What do I do when I get to Florida? | English blog on How will I get my keys? Mac on New Villas Added to FBV Site!